Your personal employment history can get complicated when employers change hands, names or locations. Get answers to your questions here about how to show the employer on your employment work history. You know it won't look good on your resume if you list an employer that, for all intents and purposes, no longer exists... or at least, won't be easy to contact to confirm your employment record. So what's a job seeker to do? I started seeing these questions come up more and more in the past couple of years, so I thought it would be a good idea to create an Ask the Expert page on how to write your personal employment history on your resume in relation to changes or issues with the employers you've had. So if you have questions along those lines, then you've come to the right place! Please take time to peruse the questions at the bottom of this page to make sure I haven't already answered the question you have. You can also look through our archives of older questions about employers and writing a resume. 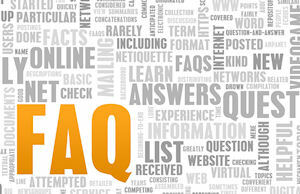 Click below to see employer questions from other visitors to this page. If you click on the category, you can see the individual questions that have been asked. How should I mention a supervisor who has died? What do I do if my employer cannot verify employment? How do a list an employer who has been bought numerous times? How would you list one company but multiple sites? What do you put on your resume when you move companies but they are in the same building and have the same job description? How do I list job location for an internet job? How do I list the same job if it moved to another city and a sister company? How do I reflect time periods where my primary employer subcontracted me out to a secondary employer? Should I abbreviate the word County in the name of a company name?